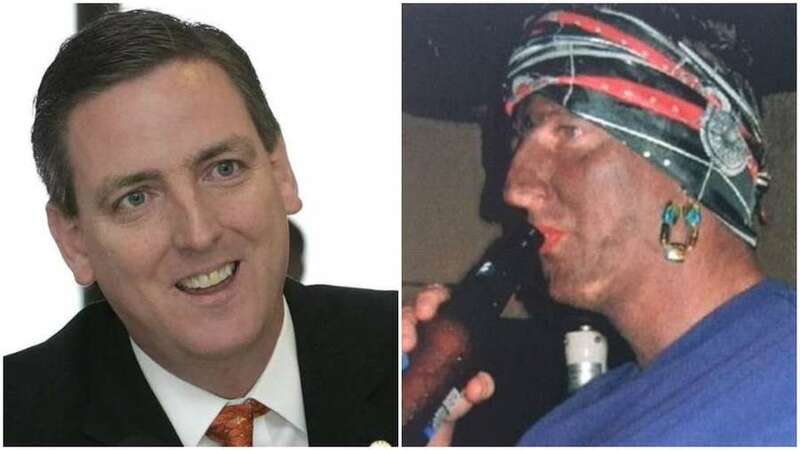 Ertel, previously the Seminole County Supervisor of Elections, resigned after photos of him posing as a Hurricane Katrina victim in blackface were obtained by the Tallahassee Democrat. Newly appointed Florida Secretary of State Michael Ertel has resigned from office after photos of him posing as a female Hurricane Katrina victim in blackface were obtained by the Tallahassee Democrat, the paper reported online Thursday. According to the Democrat, the photos were taken in 2005, shortly after Ertel had become supervisor of elections in Seminole County, and depict Ertel in blackface wearing a New Orleans Saints bandanna around his head and a shirt with the words "Katrina Victim" written on it. Ertel confirmed to the paper he was the man in the photos last week, the Democrat reported. The paper shared the photos with the governor's office Thursday, which had not previously seen the photos. "There's nothing I can say," Ertel told the paper. He did not respond to a request for comment. Ertel had testified in front of a legislative committee as late as Thursday morning, but in an email to Gov. Ron DeSantis just before 2 p.m., Ertel submitted his resignation "effective immediately." "It has been an honor to serve you and the voters of Florida," he wrote. Before he was named by DeSantis in December to replace Ken Detzner, the officeholder under former Gov. Rick Scott, Ertel had spent nearly 14 years as the elections chief in Seminole County. Former Gov. Jeb Bush named him in 2005 to replace Dennis Joyner, who had stepped down citing his health. Aside from his first election, which he won by 59 percent, he had been re-elected to the post without opposition. Ertel had won several awards for his work in improving elections and registering more voters, and had criticized Scott in 2012 over the governor's attempt to remove noncitizens from the state's voter rolls, saying many were eligible. Before being appointed as secretary of state, Ertel, an Army veteran, also worked as Seminole County's first public affairs spokesman, and helped with media for Visit Florida after the 2004 hurricane season. In the two weeks he served as Secretary of State, Ertel had vowed to restore "a sense of calm" to the state's troubled elections, and recommended that Palm Beach County Supervisor of Elections Susan Bucher be suspended from her post for her handling of the November 2018 recounts. 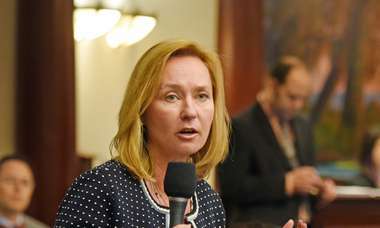 Ertel's resignation came just days after DeSantis, who had narrowly won a bruising campaign rife with accusations of racism, had highlighted the diverse appointees of his administration on Martin Luther King, Jr. Day. "I don't want to just be putting people in from some good ol' boys network. I want to be putting people in from all walks of life," DeSantis had told a largely black audience at First Baptist Church Piney Grove in Lauderdale Lakes. "And I think if you look at my total appointments, I don't think there's any peer recently, at least in Florida, of the number of African Americans we've put in." After the news of Ertel's resignation broke Thursday, DeSantis told reporters at an unrelated announcement in Marianna that the situation was unfortunate and he believed Ertel regretted the photos. "He's done a lot of good work, but at the same time I've got to have an administration focused on what matters to Floridians," DeSantis said. "I don't want to get mired into side controversies. I felt it was best to accept the resignation and move on …. I want people to be able to lead and not have these things swirling around them." In his resignation email, Ertel made no reference to the controversy that ended his brief term. His email signature quoted Abraham Lincoln: "These men ask for just the same thing, fairness, and fairness only. This, so far as in my power, they, and all others, shall have." Miami Herald staff writers Samantha J. Gross and David Smiley contributed to this report. Get the top five stories from the Tampa Bay Times political team emailed to you Monday-Friday at 3p.m. The joint health care budget panel is expected to meet again Thursday morning. The Senate is also proposing $2 million to hire more people to review former felons’ voter registration applications. St. Petersburg Mayor Rick Kriseman says Tampa had its chance. Tampa elected its first gay mayor and the political world swiftly reacted. Is Castor ready for the pressure? The House and Senate can’t agree on how broad the law should be. Ron DeSantis wants Scott Israel’s suspension hearings over soon. 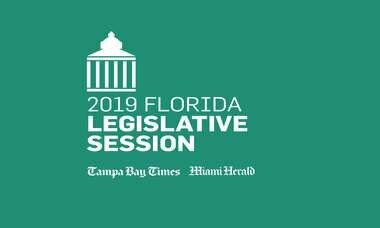 The Florida Senate pushes back. Tampa Bay Times Fund Inc.